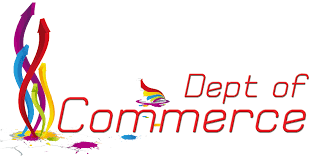 Department of commerce was established in 1984 at the beginning of the college. Telugu was chosen as the medium of instruction due to it is a rural aria. B.Com computers has introduced in English Medium in June 2007. P.G. (M.Com.) course also introduced in the department in 2009 with 30 seats. So many experienced lectures have been working in the department. More than 25 years of the service completed was worked in the department like Sri.K.Venkata Rao, Smt.D.Bhavani devi, Sri. P.Anjeneyulu, Sri.G.Papaiah, A. Srinivasa Rao and Smt.G.Rajeswari. The lecturers in the department gave right direction to the students who has gone further studies like M.B.A., M.Com, C.A, I.C.W.A. and B.L. Number of students got good jabs in various places in different posts. The department of commerce is following the common core syllabus in vogue in the state of Andhra Pradesh. This department strictly follows the curriculum designed by the affiliating university Viz. Acharya Nagarjuna University. In the beginning of the academic year, lecturers have been preparing annual academic plans as per following university guide lines for the completion of the syllabus. Teaching plans consists of all circular and co-circular activities. Incharge of the Department prepared action Plan consists of all Co- curricular activities and extra-curricular activities of the Department for the academic Year. The lecture method teaching is enriched by using teaching aids, black board, charts, OHP transparences, SMART BOARD and Power Point Presentations. Learning is made student centered by student’s Seminars, Group discussions, Quiz, Students study project work, field trips. Department arranged guest and extension lecturers. For assigning the knowledge of the learners, the question answer session, subject quiz, and slip tests are conducted in all subjects. Lecturer have been taking tutorial classes for academically backward students, remedial classes for SC and ST students, incentive remedial classes for who fail in public examinations.